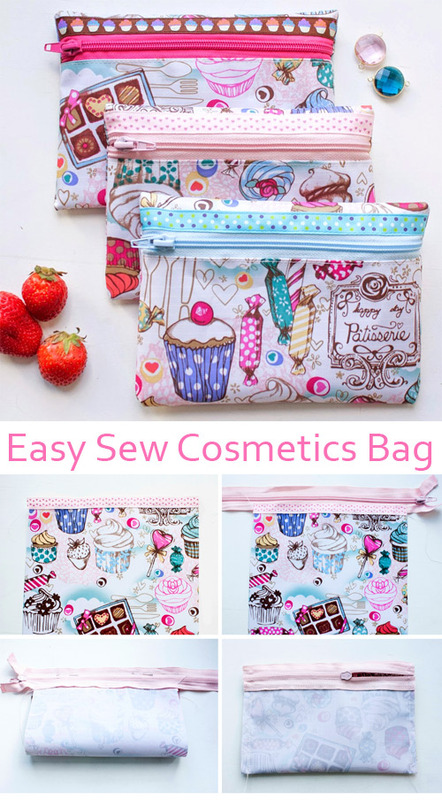 A very simple makeup bag for beginners. ~ DIY Tutorial Ideas! 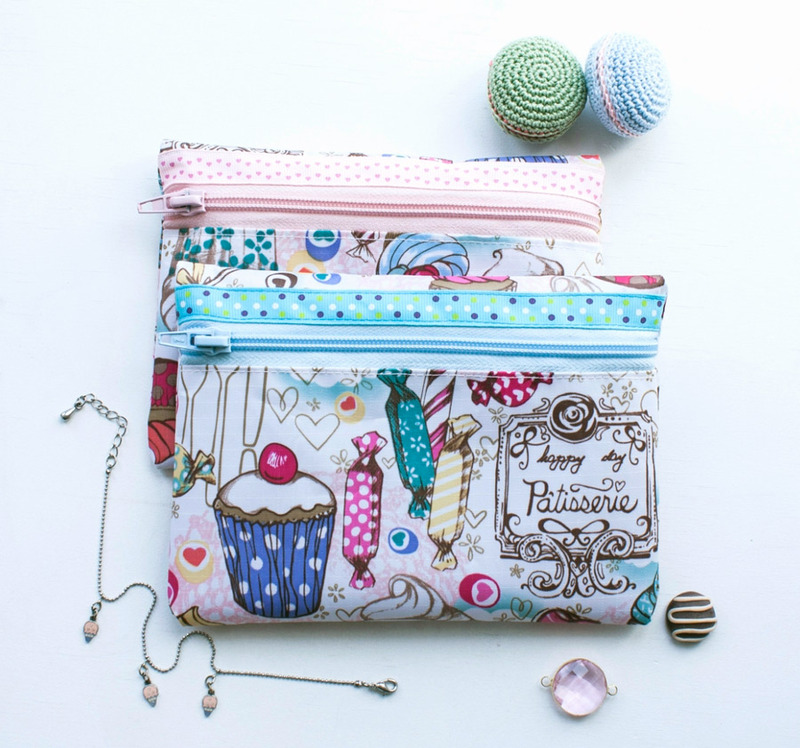 Home » Cosmetic Bag » A very simple makeup bag for beginners. 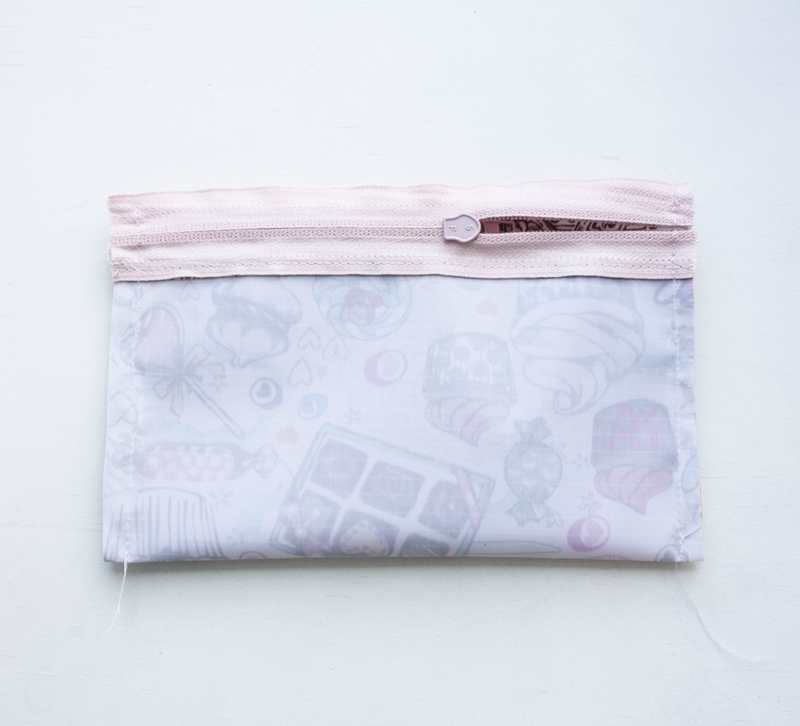 A very simple cosmetic bag made of waterproofed fabric with a zipper. Why from this fabric? Its edges are not showered, it is not necessary to process the edges, it is not necessary to sew the lining of the bag. 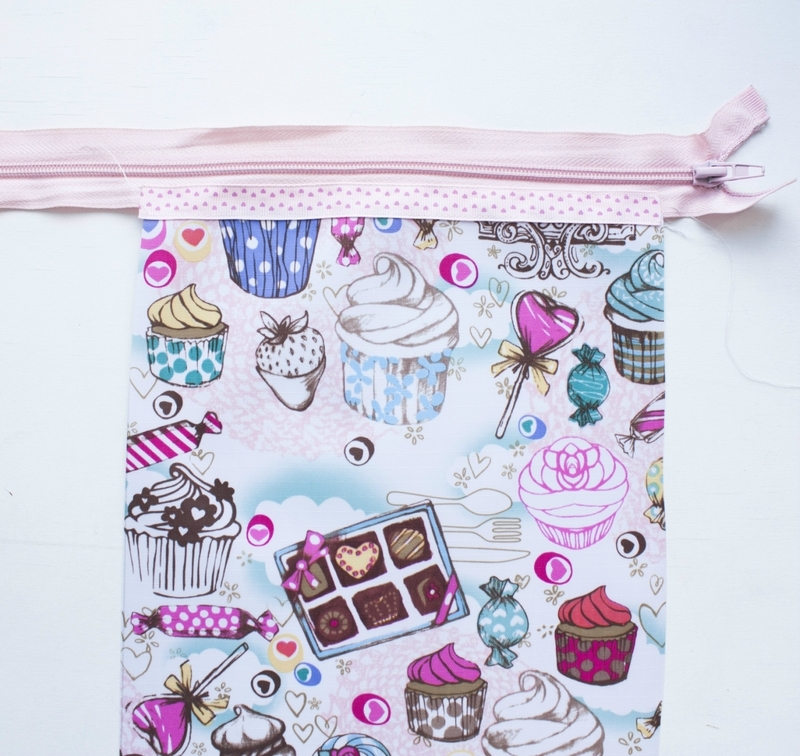 In addition, the bag can be washed in a conventional washing machine and dries within an hour.The cosmetic bag will turn out very easy and practical. On the beach, in the pool, on vacation. 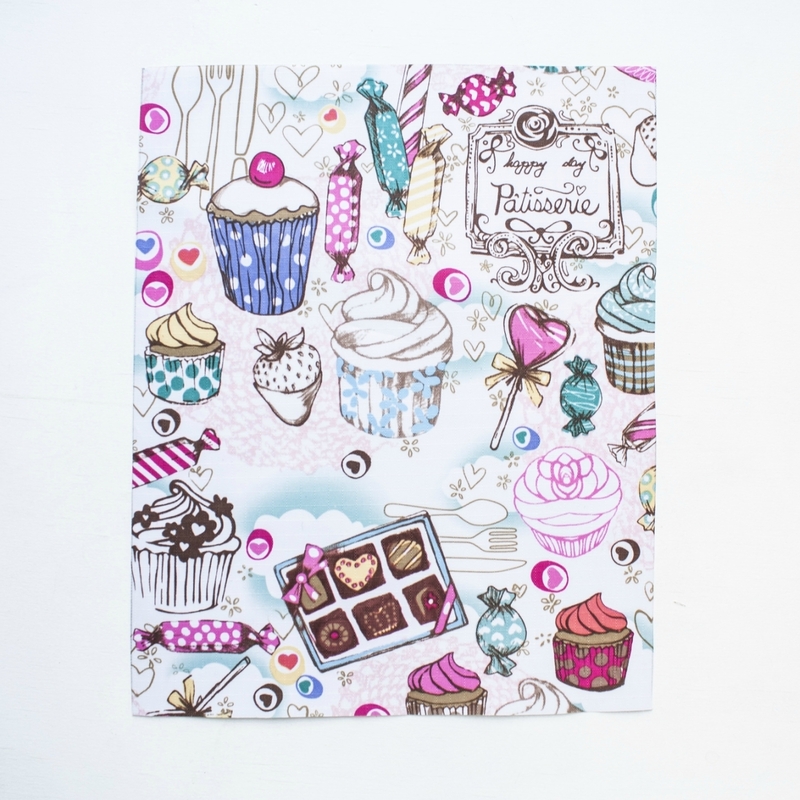 The size of the finished cosmetic bag about 18 * 13 cm. 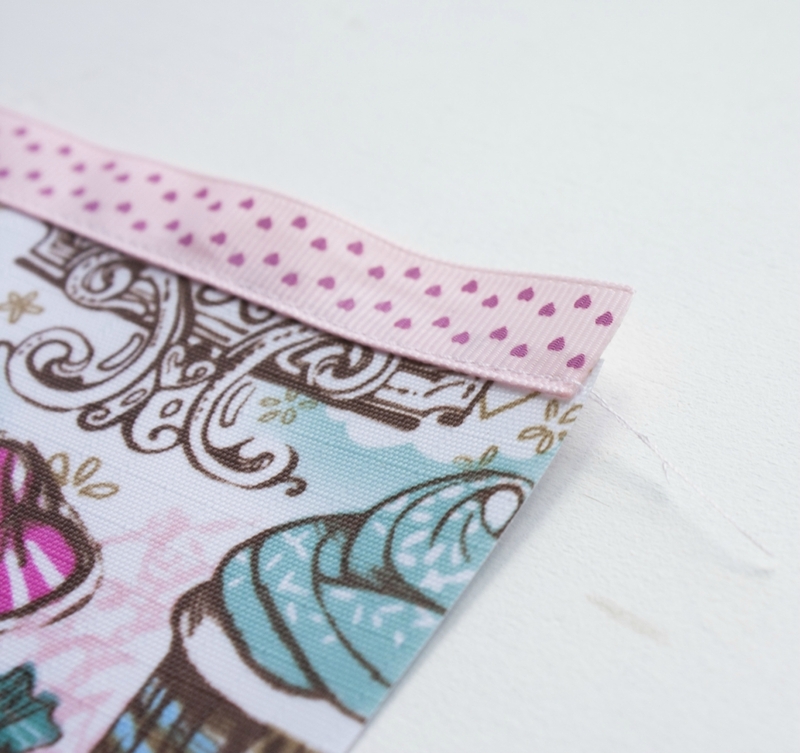 We put a rep ribbon on the fabric with overlap of about 5 mm. Sew on. The ends of the rep ribbon are better to be cauterized with a lighter so that it does not crumble. From the other side we sew a rep ribbon and a zipper. 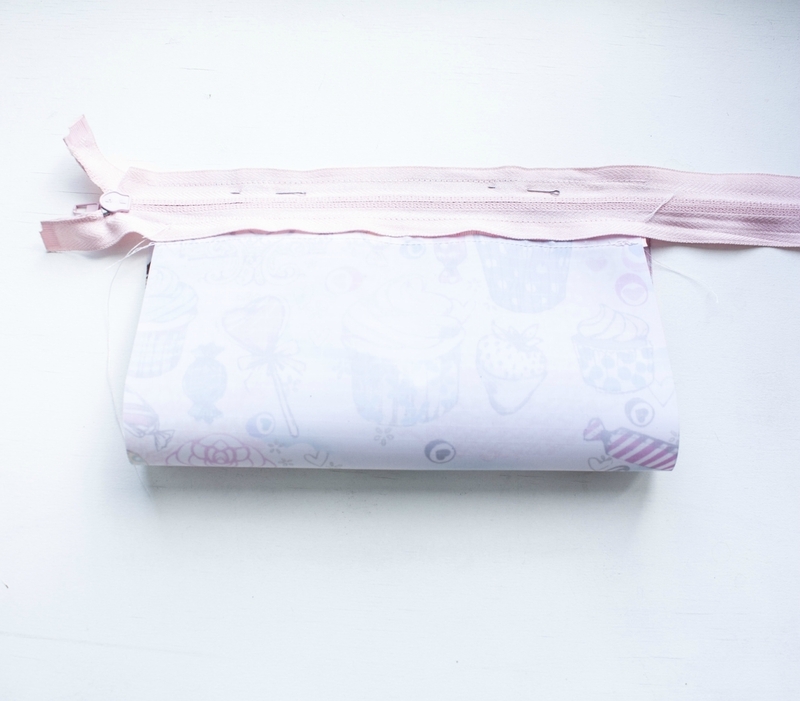 We fold the cosmetic bag in half from the wrong side and sew the other edge of the zipper with the free edge of the fabric. Cut off the extra part of the zipper. The edges of the zipper are also better to burn with a lighter, so that it does not fall down during use. Sew the side edges of the bag. 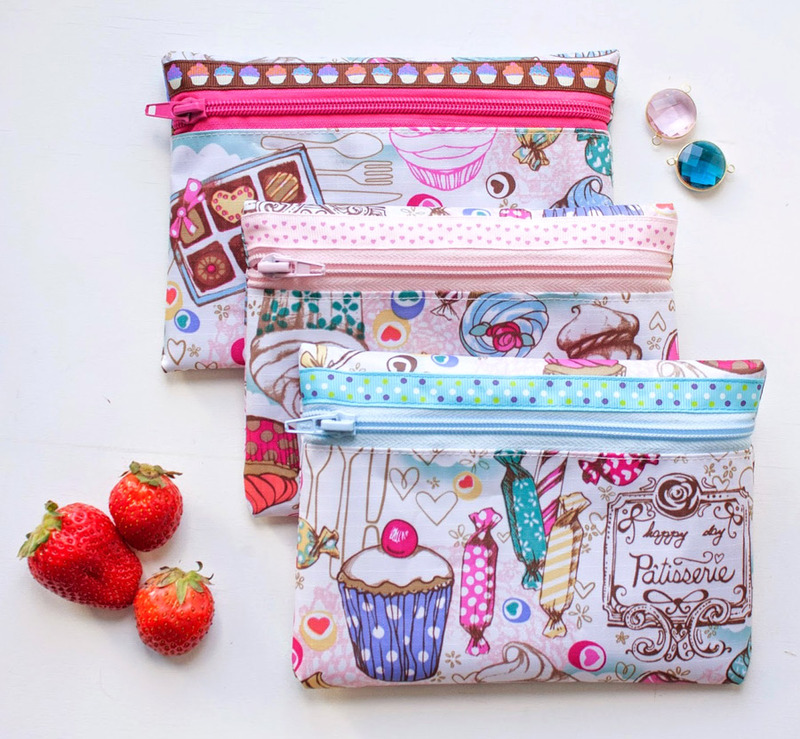 First you need to unzip the zipper so that later you can turn out the cosmetic bag. 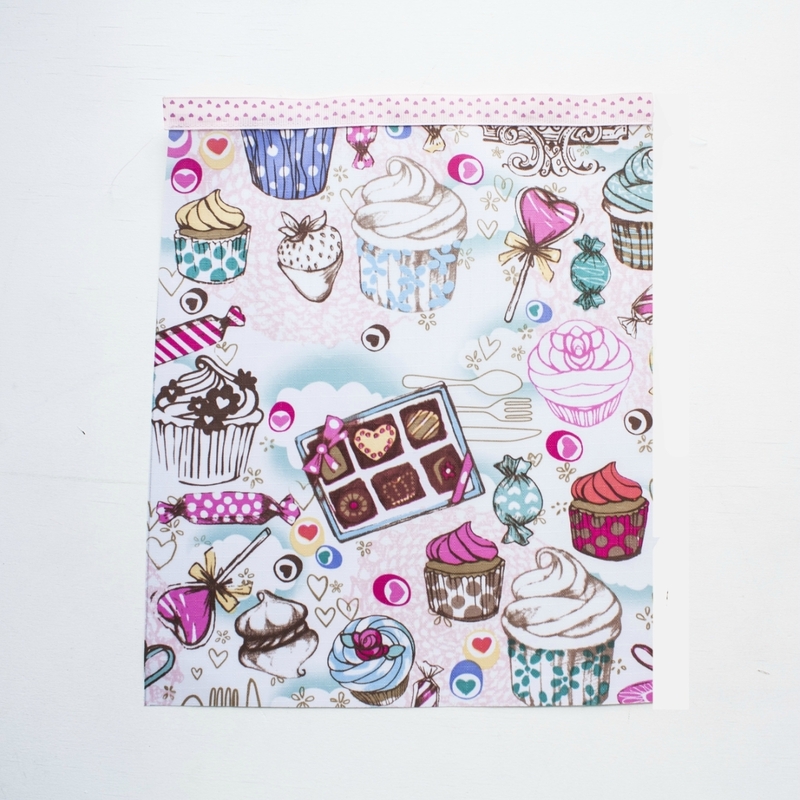 We turn out, the cosmetics bag is ready!